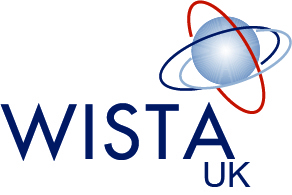 Welcome to WISTA-UK. We are a vibrant association following the tradition of our founders, and focusing on all the opportunities the future and the industry offer us. If you work in the shipping industry and you are in the UK why not join us? Our members work in all the sectors of our industry from brokers, shipowners and ship managers, maritime lawyers, insurance, P&I, container companies, ports, cruise companies, academic, shipping associations, Flag States, spare parts purchasers, international organisations, surveyors, Port State Control, Class Societies, Government Organisations, Marine Telecommunications, the shipping press, journalists, event organisers, seagoing personnel, etc. Our association is for women in managerial position, but of course, we welcome members from junior positions that are on the ladder climbing to the top. We are passionate with mentoring, and we know how important is to lend a helping hand. Our monthly events are designed to keep abreast in our ever changing industry and offer the opportunity to network. Our WISTA-UK Debate every March to celebrate Women’s International Day always gathered the most important shipping men and women in London; the Annual Conference held every year in a different shipping capital, the genuine international flavour with their local shipping knowledge also offers the unique opportunity to meet new WISTA members from other countries. Although we are a women’s association, our events are not exclusive, au contraire, WISTA-UK’s Ambassadors, supporters and mentors are a cadre of important business men that contribute enormously to our organisation. WISTA-UK is well accepted in all corners of our shipping industry – in London and abroad. Join us and discover the world of WISTA-UK where you will network with professionals like you working in the shipping industry and forge friendships that will last a lifetime!